The St Francis Way in Italy, also known as the Cammino di Francesco, is a superb walking trail inspired by the life of St Francis of Assisi. 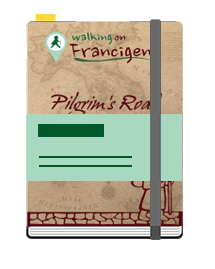 The St Francis Way takes an ancient Roman road from Florence to Rome, following in the footsteps of Saint Francis across stunning and peaceful countryside, passing important Franciscan sites such as La Verna sanctuary, Assisi and the Rieti Valley. This is quite a spectacular but challenging route recommended only for experienced walkers.